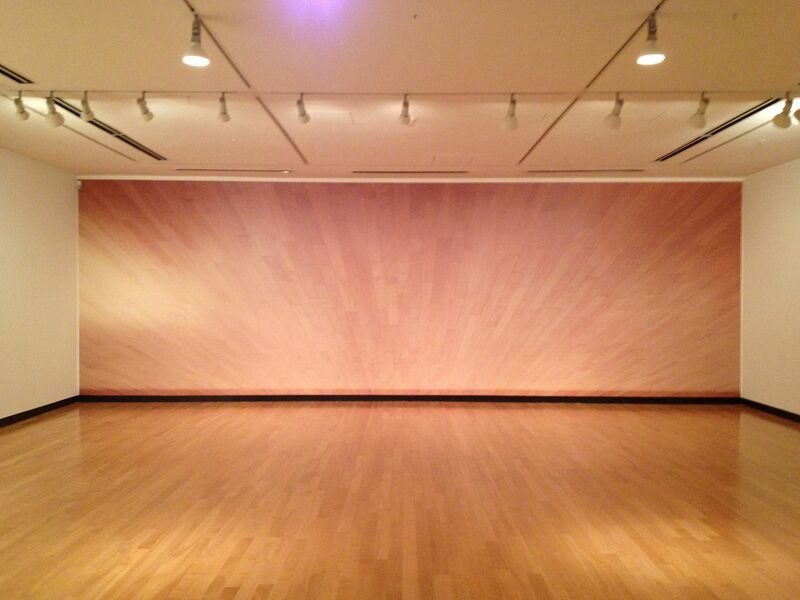 Closing this weekend is a wonderful exhibition by U of T Curatorial Studies graduate, Julia Abraham. I Thought There Were Limits features site-specific work by Karen Henderson, Yam Lau, Gordon Lebredt, Kika Thorne, and Josh Thorpe, all thoughtfully installed in the Justina M. Barnicke Gallery. Bringing together both new and previously conceived works, the exhibition tests the limits of site-specificity as it relates and responds to spatial context and/or conditions. For example, Karen Henderson’s wall-filling photograph of the gallery floor, inverted to eye-bending effect, fulfills art-historical criteria for site-specific work by responding very directly to both a particular place and time. 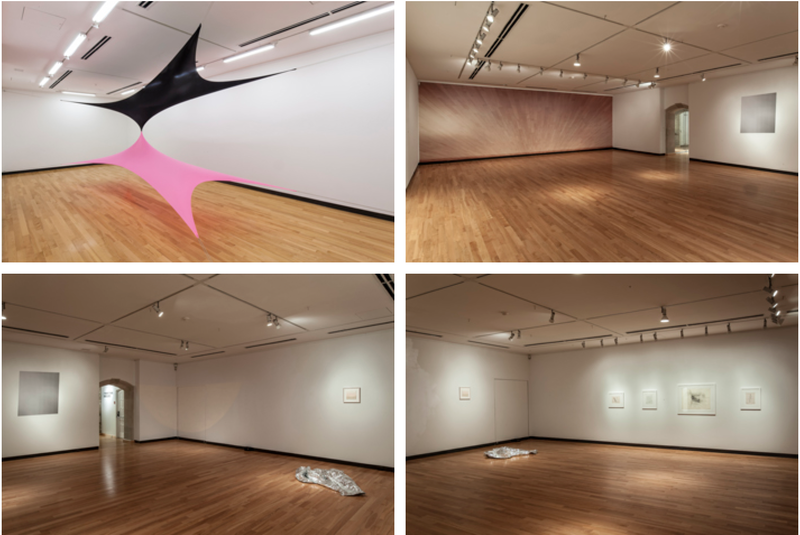 Henderson’s work, with its subtle reflections of lighting patterns from the gallery’s previous show, speaks eloquently to the recent history, materiality, and spatial conditions of the JMB Gallery, and would not — could not — make sense in any other space. 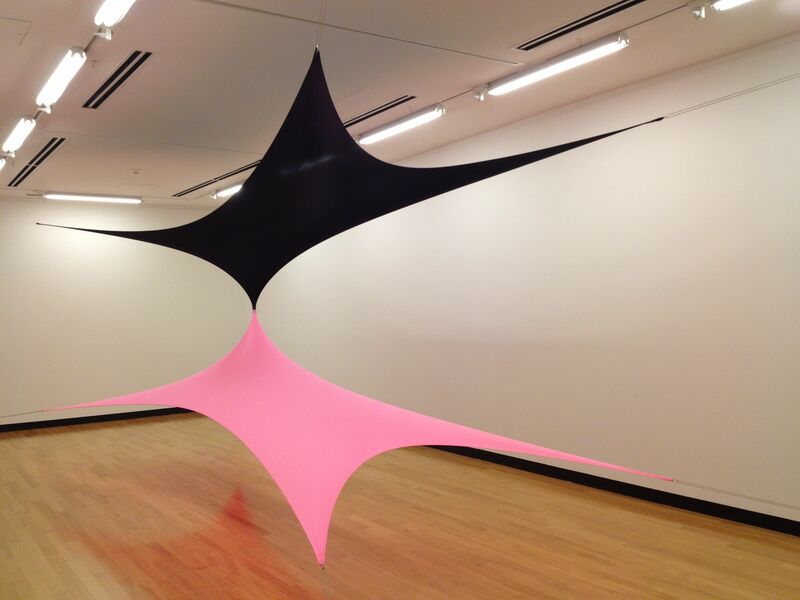 By contrast, Kika Thorne’s high-tension installation of Lycra stretched to its limits using aircraft cable and rare earth magnets has been shown in Vancouver, Hamilton, and Berlin as well as Toronto, occupying spaces large and small, inside and outside, (but apparently never upside-down, as the black portion is always on top). On the continuum between spatial context and conditions, this is a work that responds far more to the latter, taking its very form from the size and shape of the space it fills. Meaning comes not so much from a particular reading of the site’s history or function, but rather from the work’s own conditions, its sheer physicality and adaptability to multiple places and times. Gordon Lebredt, Yam Lau, and Josh Thorpe similarly engage the exhibition in distinctive ways (Yam Lau’s response to Gordon Lebredt’s work being a particularly poignant gesture*). Taking its title from Canadian poet D.G. Jones, “I thought there were limits, Newtonian… the apples, falling, never hit the ground”, Julia Abraham’s exhibition demonstrates how artists continue to engage and be influenced by place context and conditions, productively stretching the definition of site-specificity to include diverse and unexpected approaches and practices. 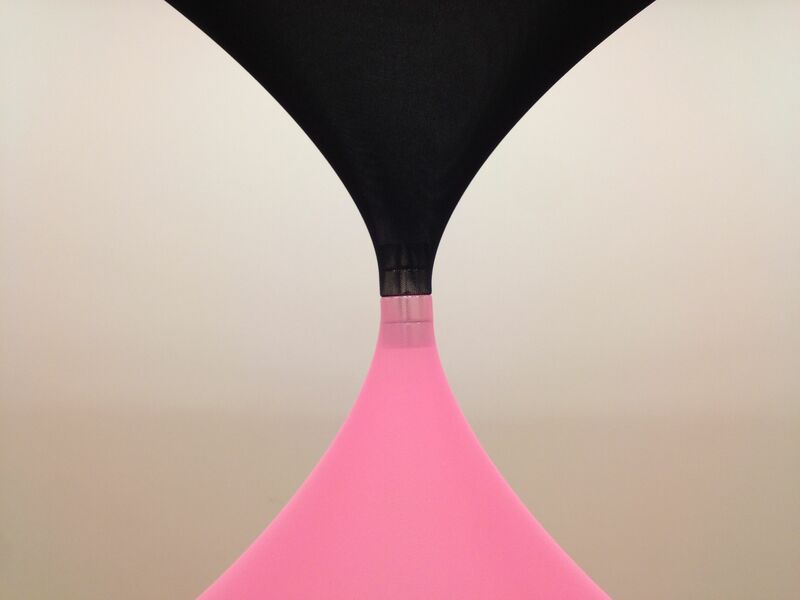 I Thought There Were Limits is on view until May 18th and well worth a visit. It will be interesting to see what newly minted curator Julia Abraham decides to do next. *Gordon Lebredt was a prolific and well-respected artist who died too young in 2011, leaving behind an entire body of unrealized conceptualist and materialist propositions, some of which are on display here. Yam Lau’s work responds both to the site and to Lebredt’s drawings, activating and memorializing his presence within the exhibition and beyond the gallery’s walls. Be sure to ask the attendant for more information.